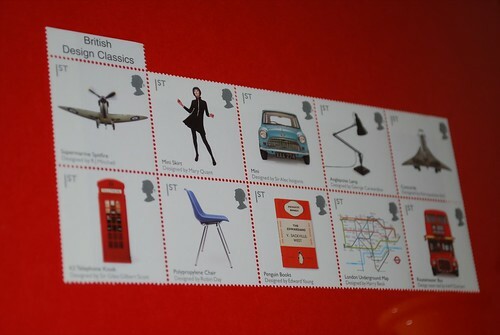 British Design Classics :: Royal Mail Stamps, originally uploaded by Headphonaught. A nice wee collection... Thanks goes to Olly for get me a frame and for presenting the stamps as such. Looks nice behind my side of our communal computer desk.